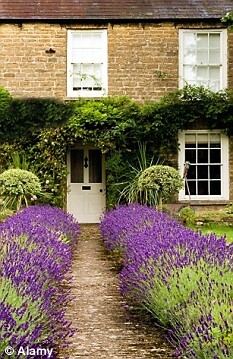 How nice it is to approach the front of a home when it has great kerb appeal. But does the front of your home have the same appeal to you? 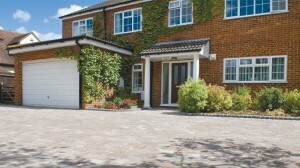 When you approach a home it is nicer if it looks smart and tidy… this includes the garden and driveway. A smart home is more pleasing to look at and to return to, it is welcoming to visitors and creates a nice ambiance for you, your neighbours and the surrounding area to live in. If your front garden is looking outdated, unkempt and tired, redesigning the approach to your home can give it a whole new lease of life. Making it more aesthetically pleasing to the eye; being able to utilise the area better can give the front of your home a new purpose. Our front gardens give away a lot about our personalities…more than you may think! The styles and designs we choose can say a little bit about who we are, reflects our characters, and our families’ needs. If you have spent the Summer deciding that you would really like to rearrange your front garden, here are some things we thought you might like to consider. 1. Think about how you want to use the space at the front of your home. i.e. just for parking or incorporating flowers and plants as well. 2. Gather together pictures from magazines, designs and ideas that you like. 3. 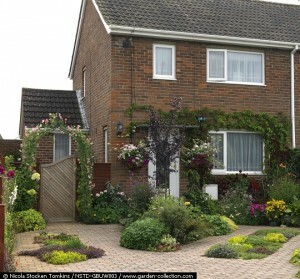 Look around your local neighbourhood to see what designs fit in with properties similar to yours. 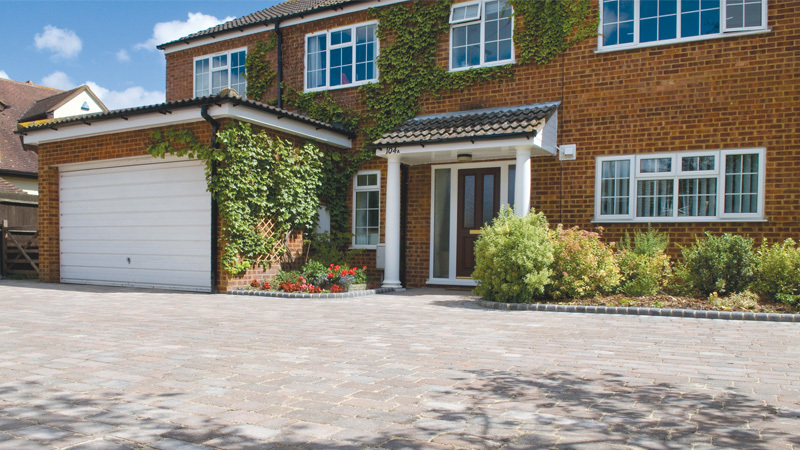 This Rivenhall style driveway has been designed to give you room for parking as well as lawn area at the front of the house. 4. Measure the front garden and plot it out on graph paper. This will help you to see how much space you have available, what it needs to be included and how you would like it to look. My tip would be to cut out cars to scale and place them on the plan so you can see how to get the best use out of the space you have. Also by cutting out different shaped flower beds you can again see what will fit in the area. 5. Do you need parking for more than one car? 6. Will you need to include a pathway to and from the garage or the front door for pedestrian access only? 7. Ensure that you have adequate drainage facilities, allowing water to run off the drive and prevent puddles of standing water. 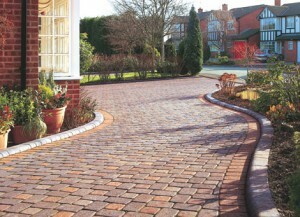 To help achieved this, use permeable brick products. 8. Decide on the materials you would like to use including the colours. Remember you may need to tone them in with the existing brickwork of your house? 9. Use coloured plants and flowers that will brighten the flower borders and give off a scent. When you brush past the plants or run over them in the car they will release their scent and it make walking to the front door a pleasurable experience for you and your visitors. 10. Include suitable lighting from the driveway around the garage and to the front door. Just when you thought it was all sorted there is always an extra or two that you would like to include in the garden as a finishing touch. – If you don’t already have a house name, consider choosing a name and adding a house sign. – Do you have a feature that you would like to add to the front garden, such as a fountain? – Do you have a fixed letter box in your door or will you need to add one to the side of your house or have one that is free standing? – Tidy the front door area and ensure that your front door is in good condition with a bright welcoming colour welcoming you and your visitors to the home. We hope that the above details have given you enough information to start planning the new look to the front of your home for great kerb appeal!